With our every day lives seemingly getting busier booking an MOT or Service is likely the last thing on our minds and all too often left to the last minute. 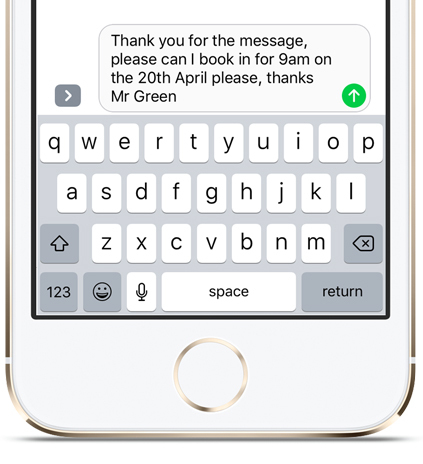 Increase your chances of retaining your customers by sending them a personalised Text reminder letting them know that their MOT or Service is due. Sometimes it’s the little things that make a big difference by letting your customers know they matter to you. We also understand that not everyone likes to receive a text reminder so we’ve taken the extra steps to allow reminders to be sent via SMS, Email, Phone or by Post. We understand that every garage will have different requirements for their reminders, so whether you are looking to send reminders with a certain message or statement we’ve made this all fully customisable. Every reminder can include your logo and branding, allowing your customers to receive a professionally created reminder. Once your customer record has been created or imported you are not required to do anything else, the system will automatically remind them, via their chosen reminder channel, based on the due dates of any vehicle registered against their account. The vehicle servicing industry is very competitive now with many high street names trying to poach your customers, however you can now take the upper hand by getting in there early. Start reminding your customers up to 8 weeks before their due date. 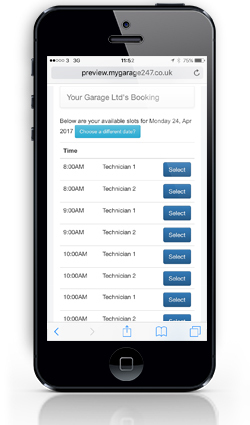 Imagine your customer automatically receiving a reminder 8 weeks before their MOT or service is due instantly engaging with you and getting the booking in the diary. 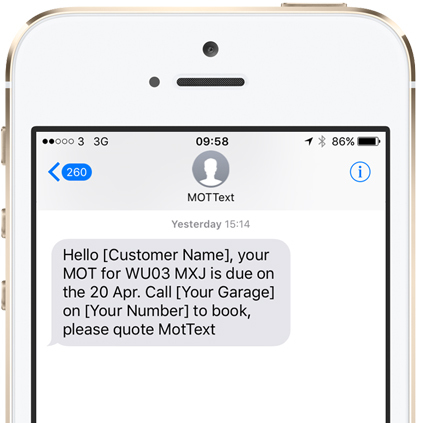 When we send out our text message reminders the aim is to generate interest and for customers to interact with your garage when booking their next MOT or Service. Our reminder service allows customers to reply directly to the text message, with all replies emailed directly to you. This Enables you to take bookings via text message and communicate effectively with your customers too. You no longer need to worry about your customer details being out of date, we will self cleanse your data. 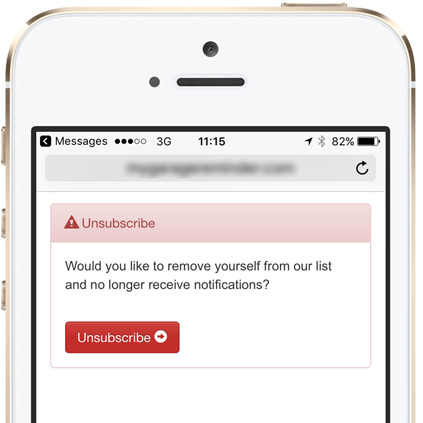 If for any reason a mobile number or email is no longer available or active we will automatically unsubscribe that customer from receiving any more messages saving you money. If you have opted for our online booking system, each and every reminder message we send out will contain a link to book directly with your workshop diary in real time. Allowing the customer to choose a time slot that is convenient to them without the need to call you directly. Saving you time in the process. Read more about our online booking solution. All our reminder packages are Pay as You Go. Free registration, no monthly fees and no minimum contract period. Your credits never expire, so whether it takes you 3 months or 3 years to use your credits they will always be available.